So, I have some exciting news to share. I write a monthly column for FashionWorked which started in November last week. FashionWorked is a fantastic site which I have talked about often which I love not just for the fashion talk but also for the opinion pieces. 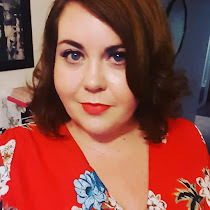 The creator extraordinaire aka Ross wanted someone to write about plus size fashion and very kindly asked me and so The Plus Perspective was born. I have talked about fashion, body image, had the occasional rant about trolls and most recent about the power of one person's voice and how I combat insecurity via Instagram. I have an open ticket to write about what I want and for that I am very grateful. Each month I send in my column and wait with baited breath to see if my post is thrown back at me with "What a pile of tosh, I'm not printing that" but miraculously it never has (yet!). I am always nervous when writing for other people as it brings in my insecure side but writing for FashionWorked is something that I love and I wouldn't give it up, unless they kicked me out of the door of course! Yesterday FashionWorked announced their yearly award winners for categories such as Best Independent Designer, Worst High Street Store and Style Icon of the Year. One of the other categories was Guest Blogger of the Year and guess what? I only bloody won it! Am so very pleased and very touched as the things I write mean a hell of a lot to me and someone saying that they like the things that I write means the absolute world to me. Congratulations! x P.s. I love the fact that you mention you love F1 in your "About me" section - I'm also a big fan, and none of my girlfriends really get it, lol.